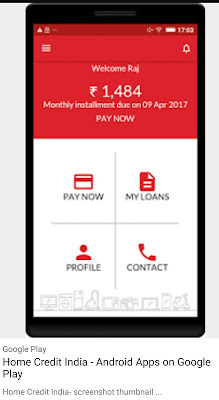 Gurgaon, 5 June 2017: In its efforts towards going digital and engaging with customers closely by providing access on-the-go, Home Credit India, one of India’s leading NBFC, has launched its mobile app. The app is available on Google Playstore and is compatible with all Android phones. With over44,000 downloads already and nearly Rs. 17 million worth of point-of-sale and cash loans repaid till date, the app is gaining traction among existing Home Credit India customers. About CRIF: CRIF is a global company specializing in credit bureau, business information, analytics, decisioning and software solutions.